Your roofing is an extremely important part of your home, so keeping it in excellent condition is one of the biggest priorities that you have as a homeowner. Your roofing is constantly exposed to weather and the elements, and if it isn't regularly cleaned, it will be susceptible to mold and fungal growth that can seriously damage your roof. 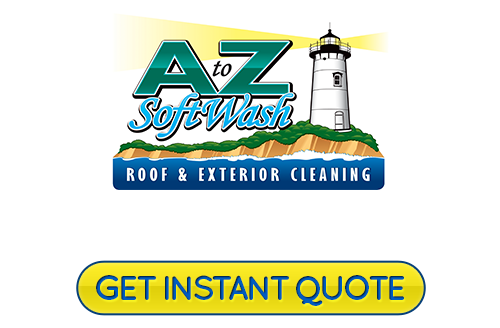 At A to Z Softwash, our professional Hanover roof cleaning professionals offer high quality exterior cleaning services to help you keep your roofing and the rest of your home in great condition at all times. Our contractors have years of experience, and there's no job that's too big or too small. We'll work hard to provide you with high quality workmanship and ensure that that you're totally satisfied with all of the work we provide. We know how important your home is to you and your family, so we'll always do whatever it takes to help you keep it in excellent condition. 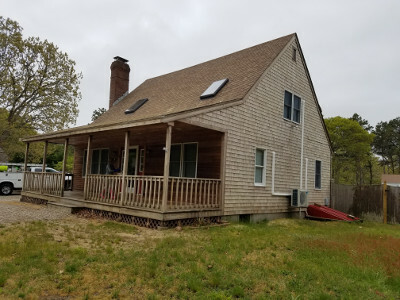 Give our Cape Cod roof cleaning crew a call today to schedule your appointment for service, or to ask any questions you have about the services we provide, and we'll be looking forward to assisting you. Many homeowners unfortunately don't fully understand how important it is to keep their roofs clean. Roofs that are dirty aren't just an aesthetic concern—not having your roof cleaned regularly can be detrimental to the health of your home's exterior. Mold, mildew, and fungus can all lead to serious damage to your roofing, which will mean that you'll need to have more repairs performed, and your roofing's lifespan will diminish. Our professionals can help you keep your Hanover home's roofing as clean and healthy as possible. We'll provide you with thorough roof cleaning services, and we'll make sure that no part of your roofing or other part of your home is damaged during our cleaning services. Washing your home's exterior is a great way to enhance your property's curb appeal while also keeping it as healthy as possible. Our house washing services are always totally thorough and effective. After an inspection of your home, we'll choose the perfect methods to clean it, then we'll make sure that it looks great and is in excellent shape. 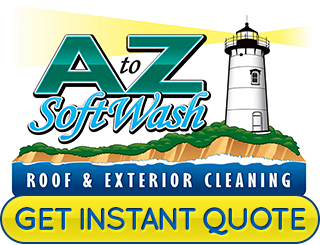 If you're looking for a roof cleaning contractor in Hanover, call A to Z Softwash at 508-209-7795, or fill out our online request form.